The absolute worst sin against art that a neophyte New Orleanian can commit is the embrace of the city’s deep, mysterious culture as his or her plaything. 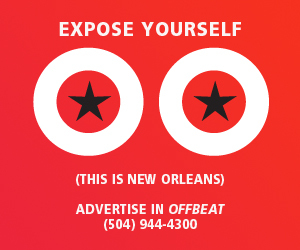 The streets of downtown and the clubs of the Marigny teem with such offenders, eager in the abject narcissism of emulation to prove they belong to the unbroken string of emotional truth expressed in this city’s extraordinary musical tradition. Fortunately, there are exceptions, musicians who understand that tradition must be personalized by the willingness to wrestle with angels as well as demons and by the embrace of not just the lapels of tradition but its very heart and soul. You have to be fearless, but also talented and disciplined, and it’s got to come from a deep wellspring of emotion, not just a mirror image. That is exactly what the magnificent music of the Panorama Jazz Band offers. Clarinetist Ben Schenck started the band 20 years ago as an offshoot of the New Orleans Klezmer All-Stars and surrounded himself with likeminded players—Charlie Halloran on trombone, Matt Perrine on tuba, Matt Schreiber on accordion, Patrick Mackey on banjo and Doug Garrison on drums. In the last decade, Schenck found the ultimate driving force for his concept in the person of Aurora Nealand, whose alto saxophone work lifts the group off the bandstand every time she plays. They are among the city’s best live bands: versatile, longwinded and more than capable of tapping into the joyous undercurrent that carries so much of the city’s music. Panorama’s 2013 live release Dance of the Hot Earth bears witness to its strengths. This record is more about its versatility. It’s a collection of tracks originally recorded on a monthly basis for digital only release and collected here as a radio sampler for broadcast purposes, so it’s not really a commercial release (yet). There are a couple of Creole Biguines, a Serbian accordion feature, klezmer and waltz music, an operatic aria, merengue, Christmas music and a brass band mambo. You can’t buy it (yet) but you can download (from iTunes and CD Baby) in pieces from the continuing Good Music for You series, and you should be hearing plenty of it on WWOZ and elsewhere.